The Intertek Sunbury laboratory provides advanced research and routine analytical testing for hydrocarbons and other materials. 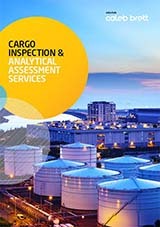 Intertek Sunbury performs accredited and bespoke analysis. Sunbury helps global clients solve their quality, process and related technical problems. Intertek analysts, Ph.D. and MSc chemists, possess significant industry and application knowledge in a broad range of techniques and trouble-shooting situations. Sunbury lab is part of the Intertek global laboratory network. Sunbury’s expertise originates from its days as a major research centre for a global petroleum and chemical company. Since joining Intertek in 2000, the lab has been providing independent analytical research. The Intertek Sunbury Technology Centre is accredited to ISO 17025 with approximately 80 tests included in the accreditation scheme.